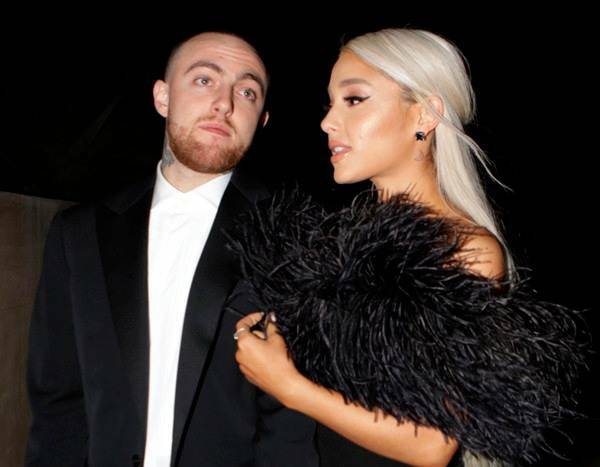 It’s been two months since Mac Miller‘s sudden death, and Ariana Grande is continuing to mourn his passing. The rapper, née Malcolm McCormick, passed away in early September at the age of 26. The Los Angeles County Department of Medical Examiner—Coroner announced this week that Miller died from mixed drug toxicity. On Sept. 8, an autopsy was performed and a cause of death was deferred pending further investigation. It was later determined that Miller had died from mixed drug toxicity (fentanyl, cocaine and ethanol). The manner of death was certified as an accident. After news broke of Miller’s passing, his ex-girlfriend, Grande, was one of many who publicly mourned his death. Grande first took to social media one day after Miller’s passing to post a black-and-white photo of him staring up at the camera. On Tuesday, a fan sent Grande a recorded video from Miller’s Instagram Live on Aug. 9, in which he can be heard listening to Grande’s song “R.E.M.” off of her Sweetener album.